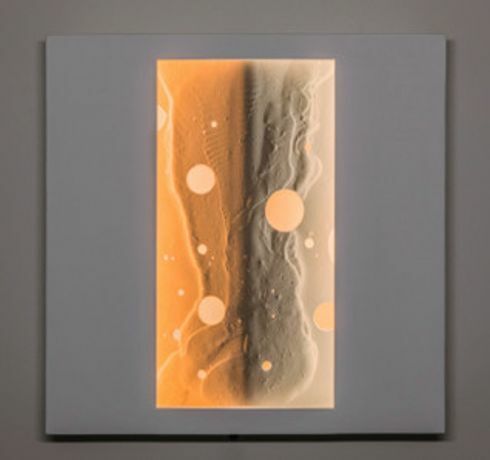 Garvey|Simon is pleased to present Exploring Light, a new series of illuminated, sculptural works by Bentley Meeker. The exhibition will take place during Armory week at 517 W. 37th Street NY, NY 10018, a street level gallery space in the Hudson Yards district in close proximity to the fairs. The show will be open and on view Tuesday - Saturday, 11am-6pm, and by appointment. An artist talk will be held in the gallery on Saturday, March 16, at 1pm. With “Weedworld,” his 2017 installation at Canada’s Penticton Public Art Museum, Meeker paid playful homage to marijuana. Additionally, he was a featured artist twice at the Southampton Arts Center, once for the opening exhibition in 2014 and has put up multiple solo shows at the National Arts Club, the CORE: club, as well as at galleries in Chelsea and SoHo.